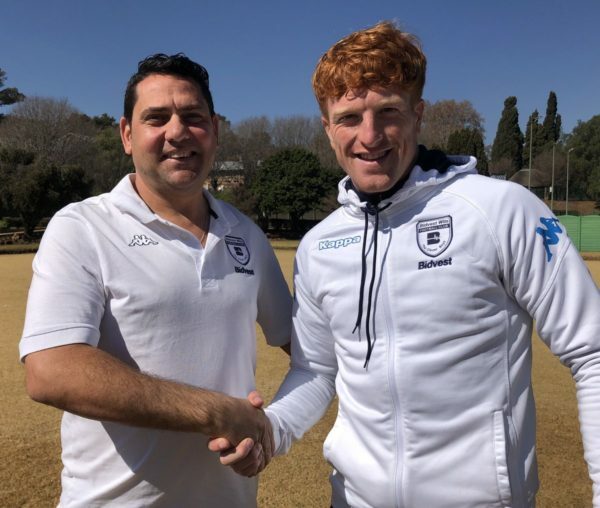 Bidvest Wits have bought Scottish professional footballer Simon Murray from Hibernian Football Club for around R2.6 million, which is the most they have ever paid for a player. Thulani Hlatshwayo, captain of Bidvest Wits, told Wits Vuvuzela that the team was happy to have Murray regardless of where he came from. “Be it foreign or coming from a different team in South Africa, we welcome you with warm hearts because we are all here for the same cause, which is to make sure the team is successful in going forward,” he said. The Clever Boys are looking forward to a successful season ahead as Murray is known for his goal scoring. In his career, he has scored a total of 60 goals from 151 games. Hlatshwayo hopes that the 26-year-old can help put their team at the top of the log. “Hopefully he’ll be able to help us [score goals] as we manage to create chances and never convert them,” said the team captain. Last season the top goal scorer in the team netted six goals and the Clever Boys hope the Scottish striker can improve on this statistic. According to PSL rules, every club is allowed to register five foreign players. Mathews Mokoena, a first-year Bachelor of Pharmacy student, was happy with the signing. “If they can afford it and it’s going to bring change, then its fine. “There’s no use having a team and having weak players from South Africa if you can afford an international player,” the 18-year-old added. Jason Webb, a third-year actuarial science student, said he hoped this buy would bring awareness to South African soccer. “We need to start being able to compete on an international scale. If that means buying foreign players, so be it,” said Webb. Wits open their 2018/19 Premier Soccer League season against Free State Stars on Saturday, August 4, at 18:00 at Wits.